The Founding Fathers didn’t envision corporate personhood, or Citizen’s United. In fact, I wonder what they’d think about capitalism as an enemy of democracy and a grave threat to the very survival of life on Earth. What must we do to save capitalism from itself? 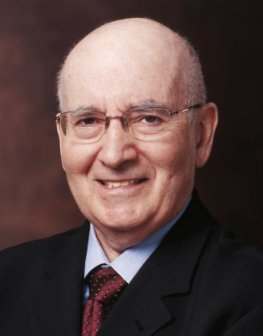 Enter Phil Kotler. The legendary marketing guru is marketing a new sort of product these days. He is trying to fix Capitalism, a system he believes has helped create more wealth for more people than any other economic model. It’s great to see one of the greatest capitalist minds working on reforming capitalism with a capital C.
14. Needs to bring social values and happiness into the market equation. So that’s my latest project – helping Kotler and friends get the word out and make a difference. Like the $300 House Project, I’m helping build an “ecosystem of concerned folks” to face the challenge. We began by enlisting the Huffington Post as our media partner. Check out our FIXCapitalism website, read the book, like our FIXCapitalism Facebook page, and follow us on Twitter. The future is too important to leave in the hands of the corporations and their paid stooges – the politricksters in D.C.! Can you help? Connect us to others who are interested – who may have a point of view they want to share – and can help move the conversation forward. Join us!